Michael Douglas, Robert De Niro, Morgan Freeman and Kevin Kline. Surely these big names make the difference. And they do. The plot is simple and not exactly deep. This film is about friendship and maybe to an extent coming to terms with old age. The chemistry between the characters is great and helps to make this film charming and endearing. 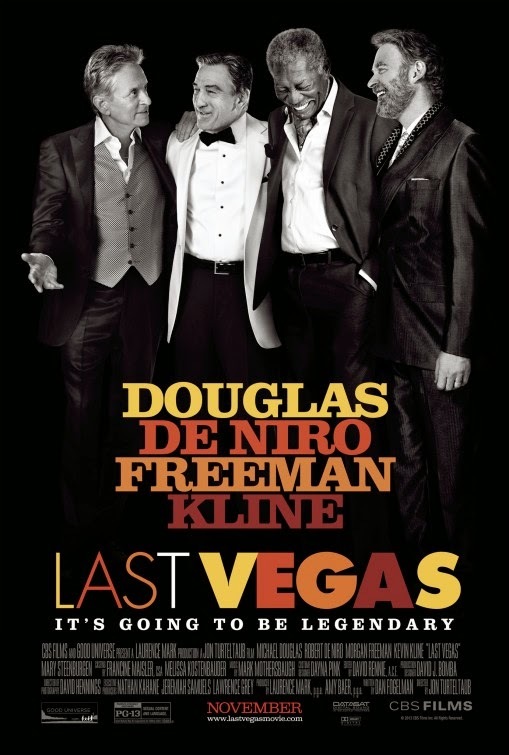 Above all Last Vegas is funny, hilarious even without needing to resort to nastiness like for example in The Hangover. I know a lot of people somehow were expecting something similar since Last Vegas was being branded as The Hangover with old people. Well, I am glad it did not. Somehow it would not have been believable. The characters portrayed are as realistic as they come and it is refreshing to see that they are. Each character have their own little issues to deal with and it is a joy to watch how they deal with them. Overall this is a very good comedy that I do recommend.